Home World Israel Thank You MACHAL for HELPING Save Israel! Thank You MACHAL for HELPING Save Israel! Tzav 8 (Tzav Shmoneh) is Israel’s general call-up code for the military reserves in the event of a national emergency. “Tzav-Shemoneh” is the call to rise in defense of the Jewish Land. In 1948, when the nascent state of Israel was attacked by six Arab nations, outnumbered and out-armed, the country was facing the threat of destruction barely days after it had been born. Israel needed help. Over 4,000 volunteers from around the world, many traveled under subhuman conditions, arrived to Eretz Israel to fight, side by side with their fellow Jews, to make sure the state survives. They were called MACHAL, an acronym for Mitnadvei Chutz La’Aretz, meaning volunteers from abroad. These brave young men and women did not know about Tzav-Shemoneh but they sure knew that what is the right thing to do is to defend the newly born Jewish state… and what a job they did. They were rebels with a cause. This week, at the home of Avigail Goldberg, under the auspices of the monthly saloon meeting of the American Committee for Sha’arei Tzedek Medical Center in Jerusalem, founded in 1902, (www.ACSZ.org) the audiences heard, in a nutshell, yesteryears stories from Machal members, Max Barchichat, former president of Machal Los Angeles, originally from Morocco, Lee Silverman, an American and Max Sher, originally from South Africa, about their contribution to defend Israel. 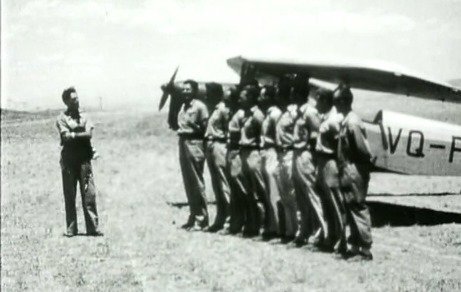 Stephanie Ronnet, who was responsible for the Machal members presence, while dating a son of a Machal pilot, became intrigued, later on fascinated, by the Machal story. Out of a total 4500 Machal volunteers, 1200 were from the USA and 804 were South African brave. They left their studies, families, and homes to fight for a cause they passionately believed in. 804 is the first documentary to tell the largely unknown story of how a relatively small group of South Africans played an absolutely pivotal part in Israel’s early survival. Israel cannot thank the Machal members enough for standing for and with their fellow Jewish brothers in time of need.